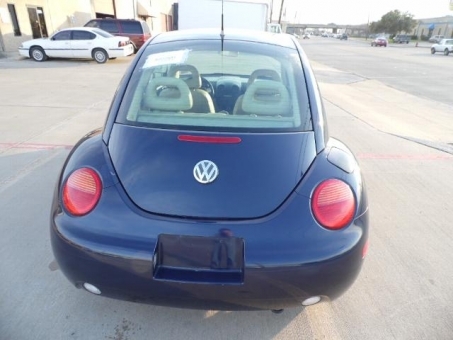 Manufacturer: Volkswagen de Mexico S.A. De C.V.
Running 2000 Volkswagen Beetle, Odometer shows 76,389 miles. It comes with a Brand New battery, a set of good tires, it has good brakes, the lights work. It has working power windows and comes with power doors and power mirrors. The heat works, the body is in great shape, no hail damage or dents, the leather seats are in good shape, the carpet is clean, the headliner is in excellent condition as well as the dash.